My friend and I always had a good laugh over egg salad sandwiches when we were kids. Well, it wasn’t actually the egg salad sandwiches, but rather our two mothers who ate them together. They would sit down with their sandwiches, crusts cut off, while my friend and I went to play. An hour later, we’d come back into the kitchen and they’d STILL be eating their sandwiches. We couldn’t fathom how it could possibly take two people so long to eat two sandwiches. Weren’t there more important things to do, like shoot hoops in the backyard or play with my friend’s new Barbie camper? Whether you eat it quickly or savor every bite, egg salad is a great healthy lunch option, particularly when made with plain Greek yogurt. This is my favorite version of egg salad, but the mixture tucked inside of these cucumber boats, complete with a dollop of Dijon mustard, comes in a close second. The cucumber boats are dead simple to make. Simply cut an English cucumber in half, both crosswise and lengthwise, then scoop out the seeds with a small spoon or measuring spoon. Scoop the egg mixture into the boats, sprinkle with a little cayenne pepper if you like things spicy and serve. One of these filled cucumber boats is only 98 calories, which makes for a perfect pick-me-up snack in the middle of the afternoon. Serve up more than one, alongside a handful of whole grain crackers, for a light lunch. In a medium bowl, smash the hard-boiled eggs with the back of a fork. Stir in the yogurt, celery, parsley, Dijon mustard, pepper and salt. Cut the cucumber in half crosswise, then cut each piece in half lengthwise. With a small spoon or measuring spoon, scoop out and discard the seeds. Divide the egg mixture evenly between the four cucumber boats. Sprinkle with cayenne, if desired. Serve. This post was originally posted on March 16, 2016, and was updated on April 17, 2019. 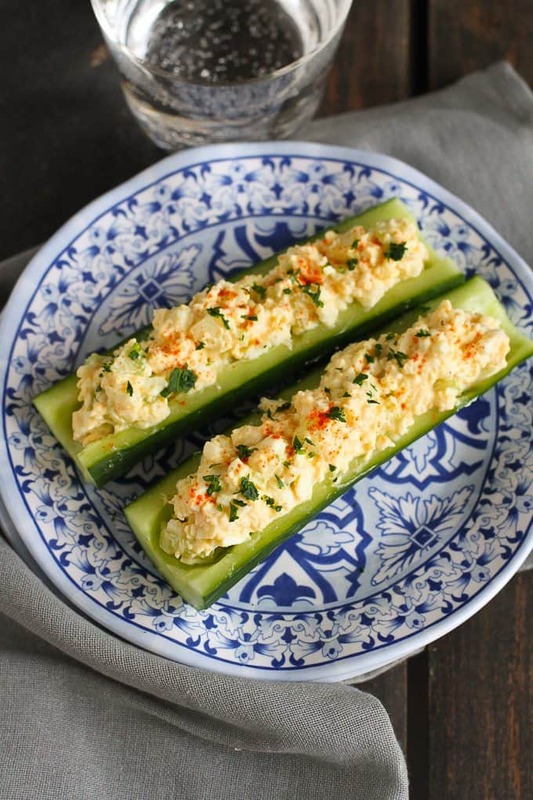 I like tons of celery in my egg salad, so serving it tucked inside a celery stick is perfect! Love this idea! Thanks so much for including my smashed chickpea salad sandwich in your “other light lunch options”! Cheers! So do you think they had already made themselves a second sandwich? 😉 ha ha ha! 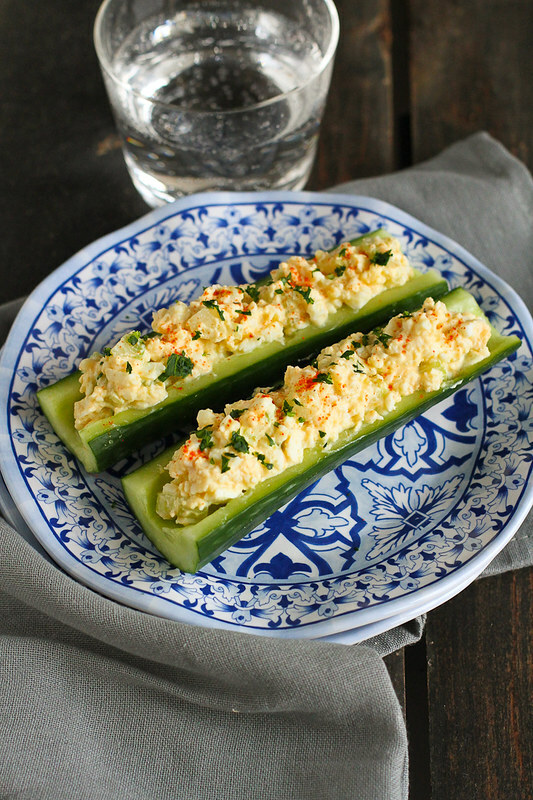 I love the idea of eating egg salad in a cucumber boat, I will definitely try that next time I make some. I love this presentation, Dara!! What a great lunch! I could see myself sitting with a friend eating these – I wonder how long it would take us? 🙂 Looks like a great idea too to bring along on a picnic! These cucumber boats look great! Thanks so much for including my southwest sweet potato recipe! Cucumbers are a great healthy bread alternative! I bet the extra crunch with the eggs is fantastic! Ohhhh I love this! 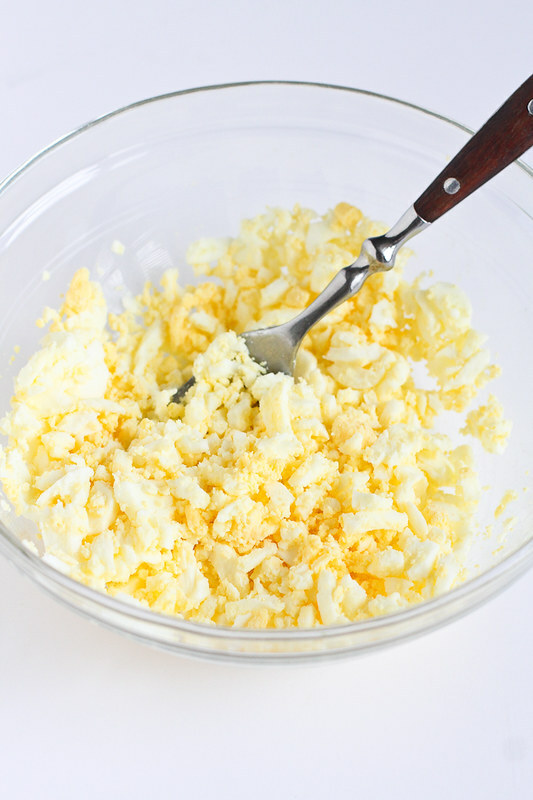 I adore egg salad and am always looking for new ways to serve it besides bread. What a great idea to use cucumbers! This looks like the perfect healthy lunch, which is exactly what I need these days! Cucumbers are one of my absolute favorites! This is much more exciting than how I usually eat them!! lol And thank you so much for sharing my salad recipe!